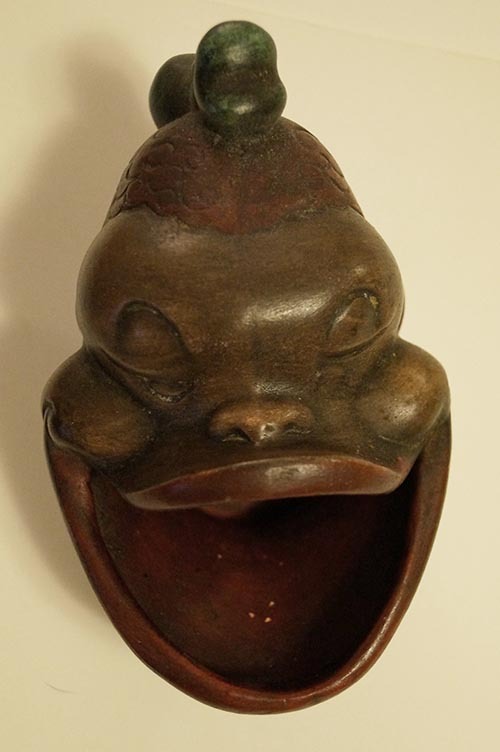 Caricature of black individual with mouth wide open made into an ashtray. 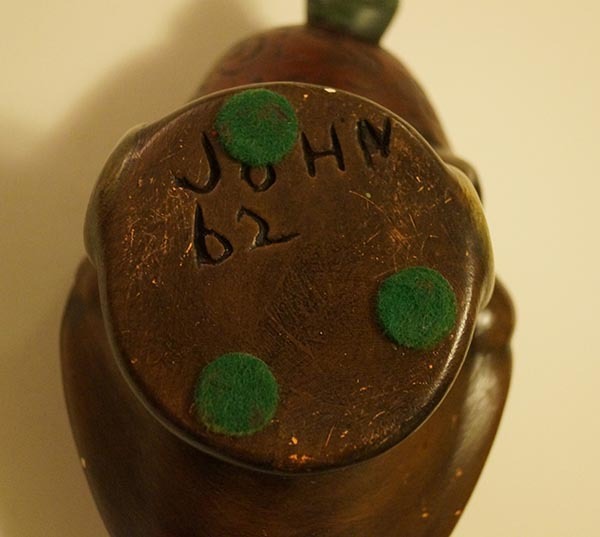 It has protective flannel circles on the bottom and is marked “John 62” (I assume that means made in 1962). It has some minor paint chips but is in very good condition, with no damage. It measures approx. 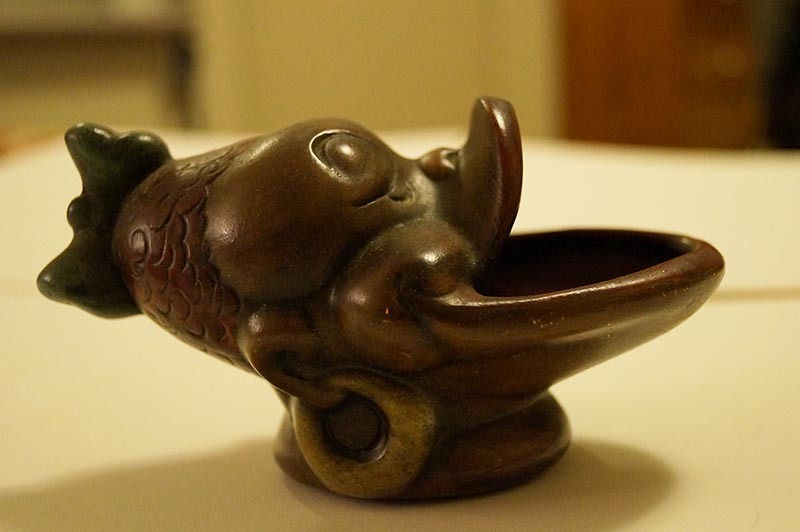 3″ tall, 5 1/2″ wide.